We call today’s Real Estate Market conditions “Price War and a Beauty Contest.” If you can’t win at at least one of those, you might as well take the ‘for sale’ sign out of your yard and plan on paying that baby off! What we mean by this is that either you have the prettiest/best home on the market within your price range, neighborhood, square footage, etc, or you list with the best price out of the bunch. A little Staging of your home could do wonders for getting that top dollar for your home AND getting it sold in the time frame you desire. 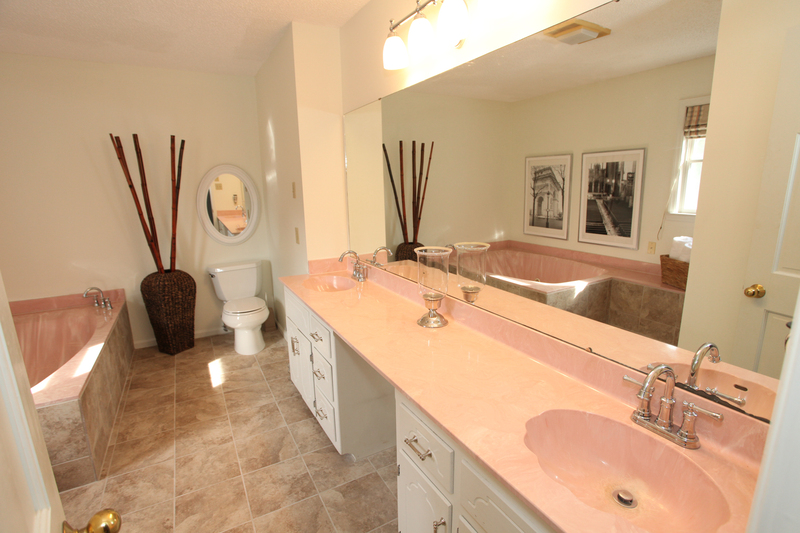 It has all the requirements most buyers are looking for… Double sink vanity, separate shower, jacuzzi tub, and room to move around. 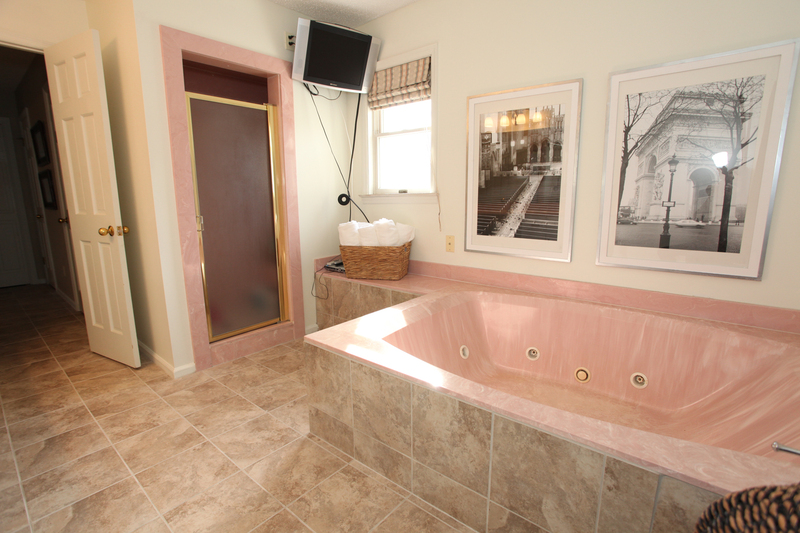 Yet whoops, they didn’t ask for the pink cultured marble, pink toilet, pink tiles, and original gray carpet that also surrounds the tub and toilet, YIKES! 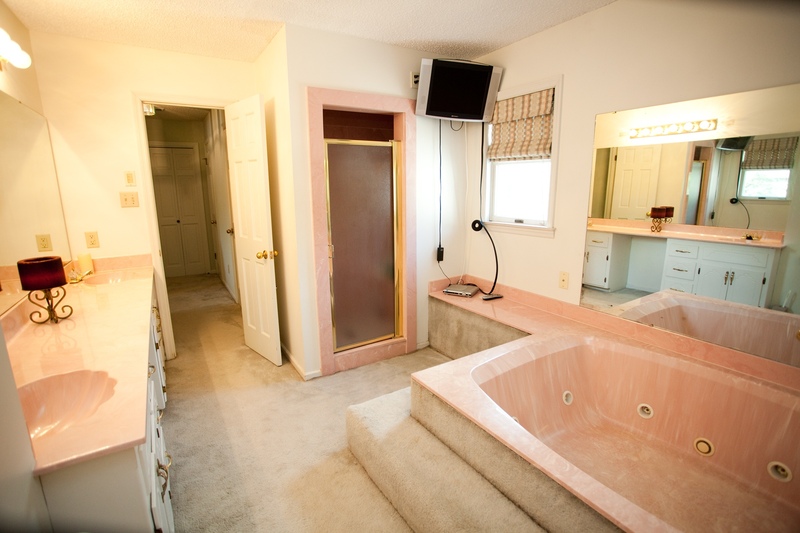 Buyers are already calculating how expensive of a job it is to bring this bath out of the funky 80’s to the present luxurious master-en-suite that HGTV keeps talking about! Not to mention the time and effort to take the job on – Let’s face it, most people can’t envision the room any other way than what they see. As a home owner who wants to sell, you have two major options: 1. List the home with a rock bottom price, or 2. 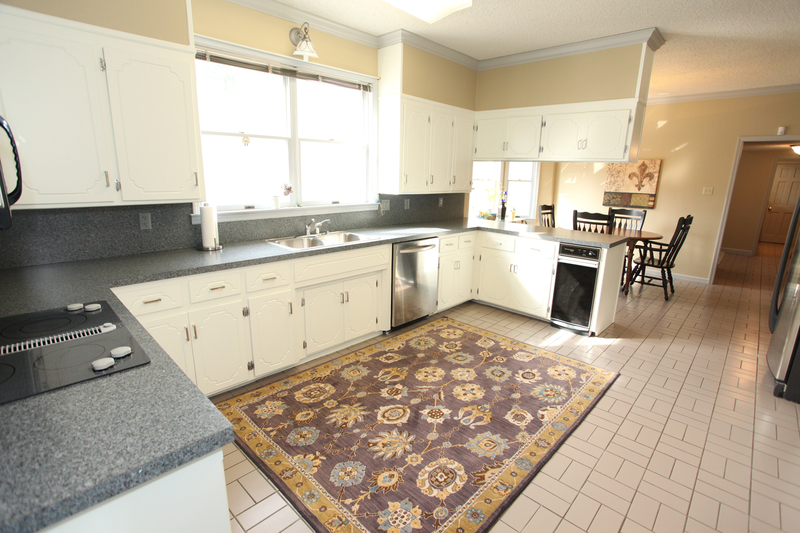 Do few of the harder tasks to make it easier for the buyer to concentrate on what they can really love about your home. These sellers chose a combination of the two. They set the price competitively with the neighborhood, and similar style homes in the area, and they tackled a few of the major objections they were hearing from every showing – mostly surrounding this master bath. The changes may seem subtle in these photos, yet with a little creative sourcing of materials, labor, and a few decorative pieces, the sellers were able to transform the space from “No way No How” to “not perfect, yet I really love that Pool and back yard!” New 18in tiles on floors, new lighting, faucets, new WHITE toilet, spray painted door knobs/drawer pulls, and few simple decorative items) They had an offer within a month of the changes, and relatively close to their asking price (relative to all the feedback they got before the changes). 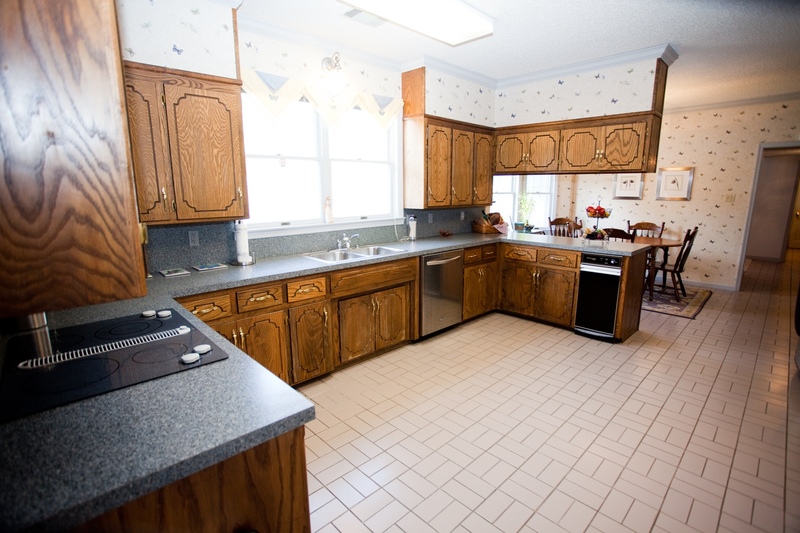 Nothing major, yet a huge transformation, not only in the showings for this home but the feedback sellers received! Keep in mind, some of the feedback from previous showings said this house ‘will receive offer 70% of listing, if any’, to ‘total gut job’. Total investment for the Seller, $7,000. The reward: an offer within a month after changes, and at 94% of listing price!! When you finally decide to sell your home, choose a realtor who can help guide you as to what would be the most helpful changes your home needs, if any. They’ll know how to price your home effectively and what you should invest your pre-listing dollars on to maximize the offer!